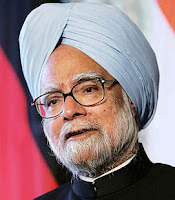 New Delhi: The support of the Left parties for four out of the five years of the United Progressive Alliance government may have been a constraint on the foreign policy of Prime Minister Manmohan Singh but the impressive victory registered by the Congress in the 2009 election will not necessarily lead to major realignments on the external front. For, if the Indian political terrain has shifted decisively against the Left, the world too is not what it was when the Communist parties withdrew their support from the UPA last August over the India-U.S. nuclear deal. The victory of Barack Obama in the United States, the onset of the severest global financial crisis since the Great Depression and the implosion in Pakistan have made the international environment much more complicated. Even if there has been no fundamental change in the hegemonic impulses driving big power politics in Asia and the world, the certitudes and equations of the Bush era do not obtain in the same neat manner as before. Until last year, the Left was worried about India getting co-opted into an American strategy of containing China; today, it is the Indian strategic elites who worry about Washington’s Beijing policy and the prospect of a loose condominium between the world’s biggest powers. What this fear of 'G-2' or 'Chimerica' will mean for India’s U.S. policy is not clear. The American side still wants to ramp up military-to-military relations. And its top two priorities in this regard are defence sales especially fighter aircraft — and the rapid conclusion of a Logistics Supply Agreement allowing U.S. forces in the region easier access to Indian facilities. The Left had opposed the LSA and other agreements on end-use verification but sections of the Indian defence establishment also have their reservations. Will the possibility of an American strategic understanding with China, unlikely though it seems — nudge the UPA government towards a closer military embrace with the U.S.? Or will it make New Delhi more wary? The decimation of the Left removes a political obstacle for the Congress but does not decisively settle this dilemma either way. The other big foreign policy challenge the new government will have to confront is the fallout from the triangular dynamics between the U.S., Iran and Israel. The Obama administration is pushing for a tightening of sanctions but if the U.N. Security Council does not oblige, New Delhi’s cooperation with a unilateral blockade will be sought. How India will respond, especially in the face of Tel Aviv’s rejection of the peace process with Palestine is an open question. On Pakistan, the victory of the Congress will make a calibrated easing of bilateral tension more likely. The Manmohan Singh strategy of flexible containment is anyway based on the recognition that not all stakeholders in Pakistan have the same attitude towards India as the military and ISI. Seeking creative ways of resuming the dialogue process while maintaining bilateral and international pressure on Islamabad on terrorism will likely be one of the first priorities of the new foreign policy team in South Block. The resurgence of the DMK in Tamil Nadu means Sri Lanka will continue to remain a foreign policy challenge for the UPA. Indeed, the imminent elimination of the LTTE is only going to increase the pressure on New Delhi to be more proactive in safeguarding the legitimate rights and aspirations of the Sri Lankan Tamils. Nepal will also have to be a top priority. Much as the Maoists there resent New Delhi’s failure to back civilian supremacy over the military in its northern neighbour, the defeat of the BJP means the danger of an even more dramatic return to the past is over. As long as Mr.Pranab Mukherjee is there, Congress party is going to remain as centrist as they had been all along. Pranab is the de-facto ideologue of the party, not Sonia. It would be a huge mistake to let the guard down and India must maintain a safe diatance with the US, until its intentions with regard to Pakistan and China are clearly visible. The US policies in Afghanistan is to further their strategic interests, and that might come at the cost of Russia, Iran, Central Asia, Middle east and last but not the least India. The US, as always, is a dangerous ally, and Indian poliy makers must learn from history !